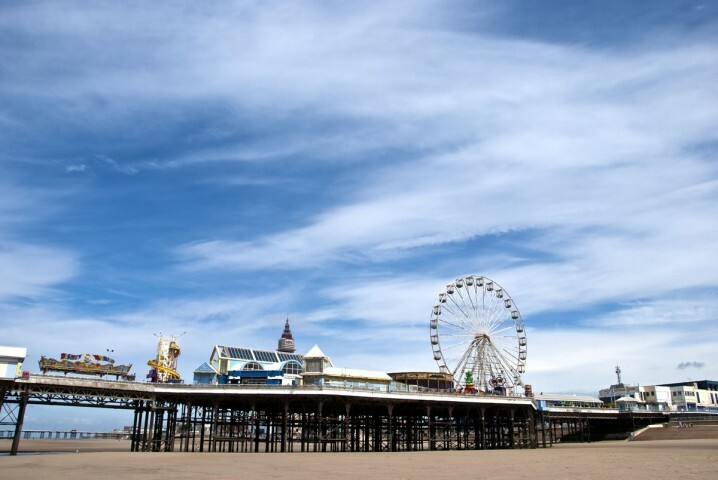 The Central Pier is one of 3 piers in Blackpool. 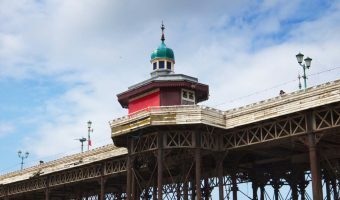 When it opened in 1868 it became known as the ‘People’s Pier’ since it was more geared to fun and dancing than the genteel North Pier. The most striking feature of the Central Pier is the Big Wheel. Part of Sedgwick’s Fun Fair, this Ferris wheel stands 108 ft tall and offers excellent views of the Golden Mile and Blackpool Tower. There are plenty of other rides at the fun fair to for both children and adults. 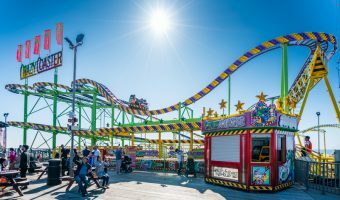 Rides include the Waltzer, Dodgems, Carousel, Helter Skelter, and Mini Wheel. The Central Pier Amusement Arcade is packed with more than 500 of the latest video and games machines. There are also numerous stalls where punters can try test their skill or strength. At the end of the pier is the Pier End Family Bar. Every evening throughout the holiday season the whole family is welcome to join the party. The family entertainment begins around 7 and includes bands, karaoke, dancing, and more. 2012 sees the return of Trevor Chance’s Legends Show. Now in its 14th successive season at the Central Pier it features talented performers impersonating the most famous acts in the music world. Robbie Williams, Meat Loaf, Tom Jones, Freddy Mercury, Rod Stewart, Elton John, Neil Diamond and Elvis Presley are all featured. Other features at the Central Pier include two cafes, a fish and chip shop, ice cream stalls, a t-shirt and souvenir shops, and a portrait studio. The Central Pier is located on the Promenade, close to Silcock’s Fun Palace, Madame Tussauds, and Sea Life. The nearest car parks are on Bonny Street and Chapel Street. 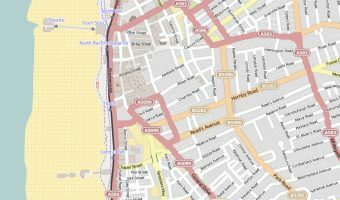 Map showing location of Central Pier. I love Blackpool. It is the best place in England. Love all the piers. Central Pier ride tickets can only be used on the day or purchase or the next day… which is written on the tickets… but not everyone reads these. We saved ours for our last day as a final treat for the kids. 8 year old told to get off the ride when they saw the date. there was no line to get on so she was not taking seats from others. We had clearly paid for them but they refused. We spoke to the manager who said noone lese had ever complained and we should use our eyes. We then went in the arcade where the staff confirmed that they get complaints all the time. They get away with it because the holiday makers ae always leaving. we had £7 taken for tickets they refused to let us use. Robbers. I love Blackpool and everything and about it. The locals are friendly and there aren’t enough hours in the day to shop! I love all the piers, mostly Central. Bring on next year. OK place to spend an hour or so. Advise to AVOID the DARTS throwing game near the centre of the pier. Trader was RACIST, shouting out "willy wolly wing wong" at myself and my girlfriend as I walked passed. Not once, but twice. On the way passed, and on the return. With me being of Chinese decent, this was highly offensive and was not appropriate. I thought this was meant to be a family orientated? I love Blackpool and most of all I love the big wheel. It’s great fun. We love the central pier. The big wheel is great fun! The most traditional of the three Blackpool piers. Pier near Pleasure Beach. Features extreme rides such as the Skyscreamer and Skycoaster.